Heroku and SparkPost have the same viewpoint for developers: that they should be able to spend their time developing. 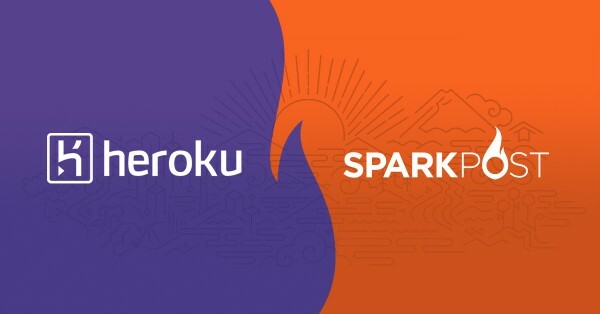 Together our customers can easily deploy and scale their web applications on Heroku, while using SparkPost to create, send, and monitor the success of their emails. Our developer advocacy team has been hard at work creating tutorial videos that will make the process as seamless as possible. It’s never been a better time to try SparkPost on Heroku. Our 200k, 400k, 600k, and 800k message-a-month plans are exclusively available to Heroku users. Developers of all sizes, from startup to enterprise, can test our enterprise cloud solution without a huge upfront investment. That’s the beauty of SparkPost, the platform built on the same technology that sends 25% of the world’s legitimate email. Start sending thousands of emails a month knowing you can scale to millions (or billions) on the solution that’s designed to scale for large volume senders. Need help getting started? No problem. Check out our support page for more info.